We offer property for sale in Ilkley, including new homes and property to rent in Ilkley. Towns & villages covered by Dacres estate agents in Ilkley include Addingham, Bolton Abbey, Ben Rhydding, Middleton, Menston and Burley in Wharfedale. We have property for sale and homes to let! Whether you are looking at new houses in Ilkley, property to rent in Ilkley or looking at first time buyer homes in Ilkley, our friendly team can help you each step of the way. If you are looking for estate agents in Ilkley to sell or let your home why not give us a call on 01943 600655 and book a free property valuation today? Houses for sale in Ilkley - our specialist subject! Dacre Son and Hartley estate agents in Ilkley is centrally located in one of the most prominent buildings in the town. The branch handles both sale and rental property in Ilkley, from first-time buyer and retirement flats to period mansions located across the Wharfedale town, with farmhouses, cottages and barn conversions in the villages and surrounding countryside including properties in Addingham, Beamsley and Nesfield. 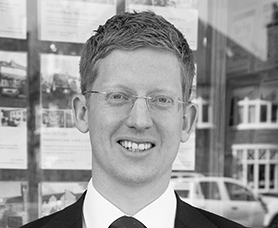 Dacres Ilkley estate agent Paul Wilson has lived in Ilkley for over 10 years and is Area Director for our Wharfedale offices. Paul originally joined the business in 2002 working from our Bingley branch before being promoted to North Leeds branch manager in 2005. The Ilkley office is also home to the firm's head office and the base for many of the company's professional disciplines, including regional land development, rental property management and our Customer Service Centre. It is also the base for Patrick McCutcheon who heads up the sale of Yorkshire property across our 21 estate agents’ offices. Patrick remains heavily involved in residential sales and deals with a full spectrum of housing as well as the sale of new homes and local development sites. 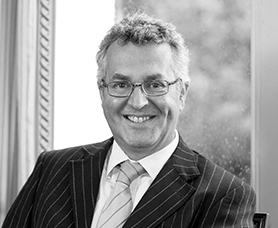 With the firm for around 30 years, he has established a broad experience in the Yorkshire Dales before moving to Ilkley. Patrick lives in Ilkley with his family and given a prompt will readily extol the virtues of living in this stunning Yorkshire town! Patrick is a Fellow of the National Association of Estate Agents. Supporting Patrick and Paul are Sales Negotiators Vicky McNamara, William Crowther & Sarah Dunn. 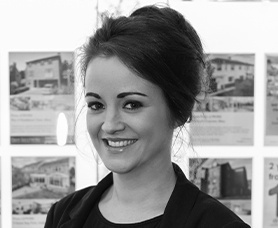 Vicky is an Ilkley resident and has vast experience negotiating offers, carrying out viewings and agreeing sales. 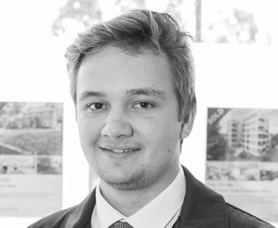 William started his Dacres journey in our Customer Service Centre before joining our Ilkley office. Houses for sale in West Yorkshire - our specialist subject! Dacres is also one of the leading agents for property rental in llkley. 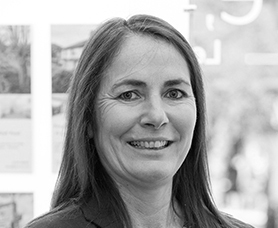 The lettings team at Ilkley includes experienced residential lettings agent Jo Speight, and Richard Thomas the Property Manager who deals with rental property management in Ilkley. Whether you are an experienced landlord, an investor in buy-to-let properties or an individual looking to let the family home, we have a service to meet your needs, from our Let Only Service to our full Property Management Service. If you are a tenant looking for property to rent in Ilkley, why not call in and let the team help find your next home? Wanting rental property in Ilkley or residential property management in Ilkley, Addingham and Ben Rhydding? Give us a call - we'd love to help! Houses to rent in Ilkley - our specialist subject! Selecting the best estate agent is a critical decision when it comes to selling your home. At Dacre Son & Hartley we pride ourselves on delivering an exceptional service, and with considerable experience of selling and letting property in the Ilkley area including Addingham, Ben Rhydding and Denton, we consistently deliver the right results for our clients - just take a look at all allAgents.co.uk to see what our customers think. Exceptional knowledge of the local area and our network of 21 Yorkshire estate agents' offices ensures your property is seen far and wide, whether it's for sale or to let. Need a Chartered Surveyor in Ilkley? We don't just sell homes and offer property to let in Ilkley and surrounding villages. If you require a Chartered Surveyor in Ilkley to carry out a RICS Home Buyers Survey or other pre purchase valuation or survey then call one of our specialists on 01943 885400 and we will be delighted to provide a quotation. We can also quote for Divorce Valuations, Tax Valuations and a variety of specialist surveys including Party Wall matters. 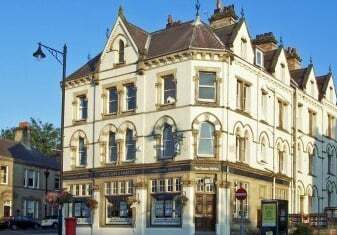 Looking for Commercial Property in Ilkley? Our colleagues at Dacres Commercial provide a full range of commercial estate agents services, offering commercial property to let and commercial property for sale across Yorkshire; including the business centres of Leeds, Bradford, Harrogate and York, and providing commercial estate agency in the smaller towns of Ilkley, Otley, Guiseley, Skipton, Keighley, Wetherby, Bingley & Settle. In addition to commercial property to let and commercial property for sale we offer specialist services such as commercial rent reviews and lease renewals, commercial rating and tax valuations as well as land development advice. Commercial property in Ilkley - our specialist subject! Property types offered for sale and to let include shops and other retail space; offices; light industrial; warehouses; commercial and residential development plots; agricultural land and healthcare. Commercial property in West Yorkshire - our specialist subject!